StepArea Series is similar to the StepLine Series. The difference is that the StepArea Series fills the area between the line segments and the categorical axis. StepAreaSeries class inherits from the AreaSeries class - See the inherited properties. RisersPosition: Gets or sets the RisersPosition that will be used to draw the series. Default: Risers' position depends on the axis' plot mode. OnTicks: Risers will be positioned where the axis' ticks are positioned. BetweenTicks: Risers will be positioned between the axis' ticks. 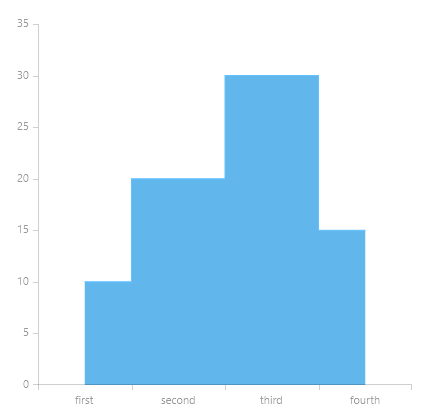 Here's an example of how to create a RadCartesianChart with StepAreaSeries.